yet tastes so divine, it's perfect for all of your holiday parties! I also want to share one more delicious recipe before the holiday frenzy begins. 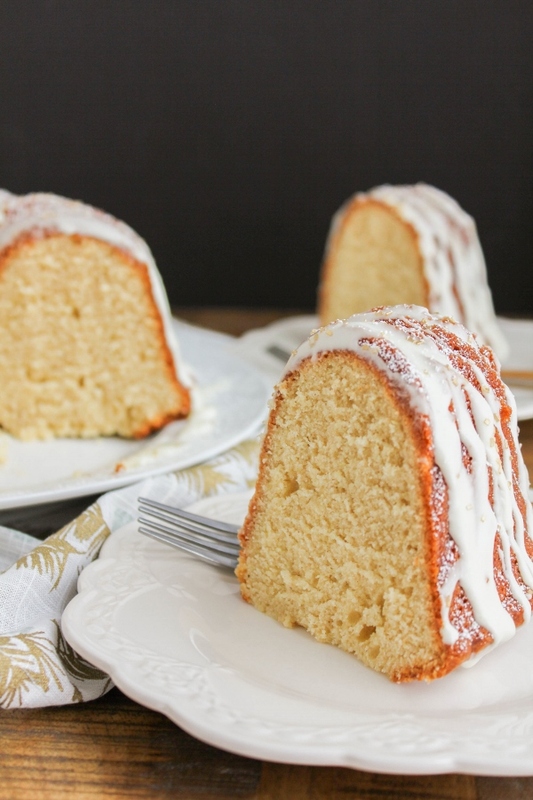 This made from scratch Eggnog Bundt Cake is gorgeous to look at, tastes absolutely amazing, and is super simple to make. That's the key here, simplicity! Because I know how busy we all are this time of year. This cake really is perfect for any celebration you might be having, and it's also perfect for a New Years party. 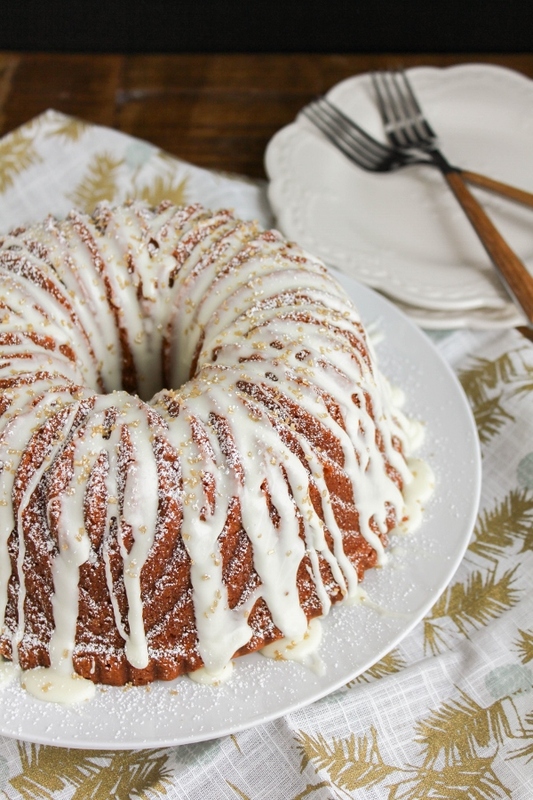 Rich and decadent, it's filled with the taste of eggnog and warm spices, then drizzled with a sweet eggnog glaze. Perfect for kids and adults alike! Preheat the oven to 350 degrees. 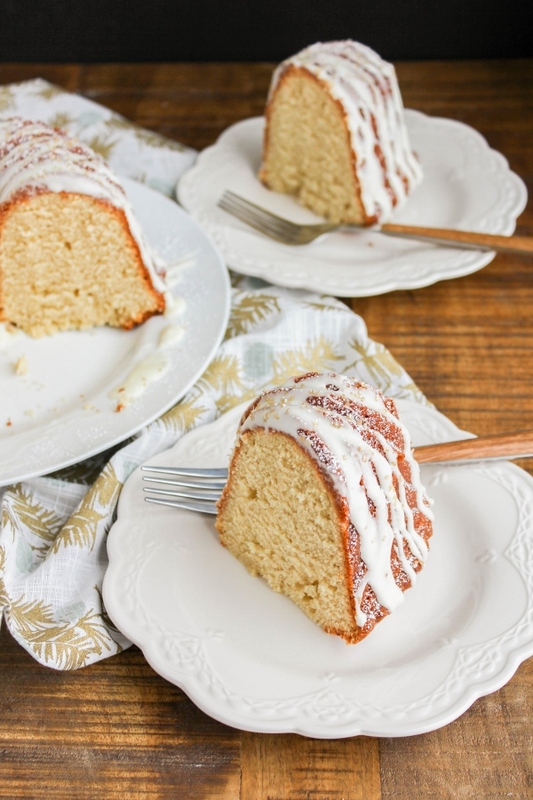 Coat a 12-cup Bundt pan with non-stick baking spray and set aside. In the bowl of stand mixer, beat the butter and sugar until light and creamy. Add the eggs, one at a time, beating well until just combined. Add the vanilla. Combine the flour, baking powder, cinnamon, nutmeg, and salt in a large bowl and whisk to combine. Alternately add the dry ingredients and the eggnog to the stand mixer, a little at a time. Beat at low speed just until blended. Bake the cake for 55 - 60 minutes, or until a cake tester inserted into the center of the cake comes out clean. Cool the cake in the pan on a wire rack for 20 minutes. Remove the cake from the pan and allow it cool completely on the wire rack. 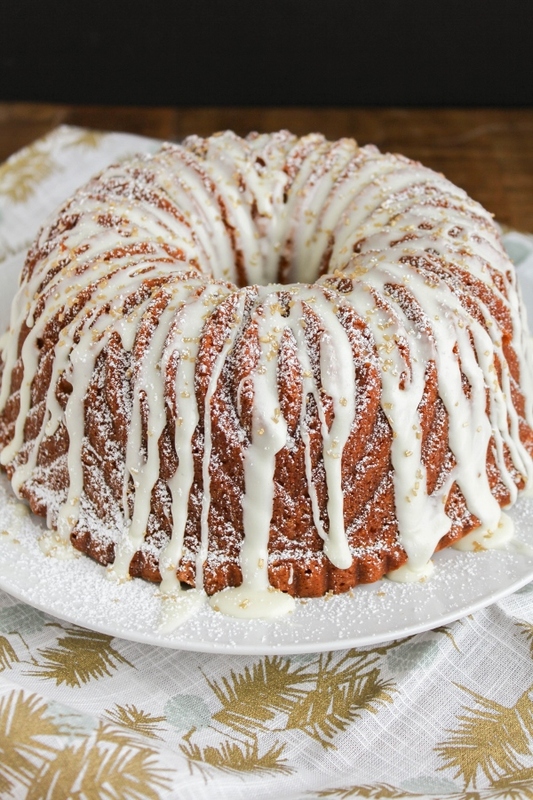 Make the glaze by whisking together the one cup of powdered sugar and eggnog. 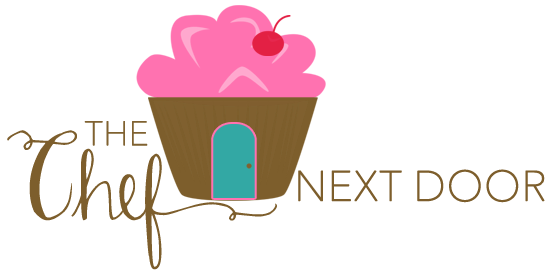 Place the cake on a cake stand or plate and dust with powdered sugar. Drizzle the glaze all over the cake, then sprinkle with the gold sugar sprinkles, if desired.